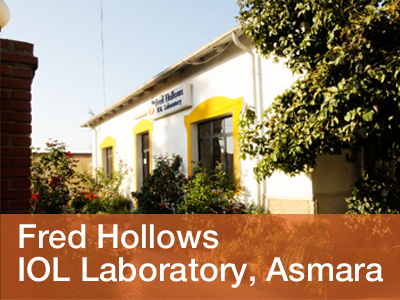 The Fred Hollows IOL Lab, Asmara is dedicated to manufacture high quality, low cost, single piece lenses and other eye problems cure which are affordable to eye health care programs in developing countries. It is committed to providing world class IOLs and Pharmaceutical facilities, certified by SGS (Societe Generale de Surveillance) for ISO 9001, ISO 13485 & MDD 93/42/EEC. certificates and CE mark accredited. At each stage in the IOL Manufacturing operation, quality control staff and on line quality Assurance Inspectors ensure that, from the time a raw material enters the production facility until its conversion into a finished lens complies with the code of Good Manufacturing Practices (GMP). These meet international Standards of GMP for the manufacture of intraocular lenses and are guaranteed by a comprehensive system of Standard Operating Procedures (SOPs) covering all areas of production, Quality Control, Quality Assurance, facility design, equipment maintenance and order processing. The Lab is equipped with modern Quality Control testing facilities, including its own in­ house microbiological test Laboratory, performed in accordance with Good Laboratory Practice (GLP). Quality is built into the product at every stage of the manufacturing process by an interlocutory set of over 500 written SOPs. Our products are verified for several non­routine & re­validation tests by an external acknowledged independent world authority on the chemical and biological testing Laboratory. A Comprehensive Validation & Certification Program by an internal & external GMP Auditors guarantee lenses of consistently high quality in compliance with International Standard of GMP. The IOL Lab Asmara is certified by SGS for compliance with the highest European Standards of GMP in manufacturing devices & is proud holder of quality certificates: ISO 13485, ISO 9001& MDD 93/42/EEC and CE Mark from SGS. The IOL manufacturing equipment has been selected from independent proprietary equipment suppliers according to the technical performance specifications, cost effectiveness, reliability and the service maintenance capabilities of the principal. The IOL Laboratory incorporates the best possible machine combinations for the production of high quality, affordable intraocular lenses. Our lenses, have step vaulted haptics which significantly reduce the probability of contact between the lens optic and the posterior surface of the iris. 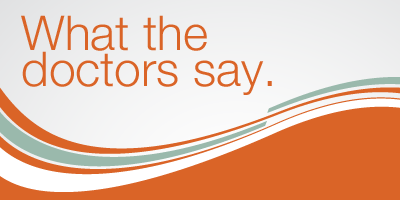 The effect of any contact with the posterior iris pigment epithelium, which can cause chaffing and breakdown of the aqueous barrier and recurrent iritis, is further reduced if the overall surface of the optic is highly polished. Through the hard work and studies of our Maintenance and Manufacturing Engineers, the Fred Hollows IOL Lab Asmara has developed a technologically advanced polishing process. This produces lenses with a surface finish superior to those produced by many manufacturers who use traditional lens polishing procedures. Quality control and Quality assurance personnel carefully monitor the lenses polishing process to ensure that each batch of lenses meets the exacting Fred Hollows IOL Lab Asmara surface quality specifications. After polishing, each lens is individually inspected at 10X magnification using a stereoscopic microscope fitted with the Laboratory’s stringent finished products release specifications.